The regulations created under the DQSA require that packages in the pharmaceutical supply chain be marked with unique serial numbers. Once applied, these numbers must be recorded and stored by trading partners. The use and communication of unique serial numbers will facilitate tracking of product through the supply chain, enhancing patient safety through increased control of the supply chain and interception of counterfeit product, while also benefiting trading partners through increased visibility. Repackagers take product that was manufactured and packaged by another company and place it into alternative packaging forms. For example, the breaking down of packs with multiple inner units into individual elements or creating kits of different products to address a clinical need is a common occurrence. To get a better understanding, consider the following: A doctor’s office may not be able to use a 10-pack of vials before they expire so being able to purchase at the individual level is beneficial to them. Repackagers are subject to the same federal regulations as manufacturers in their packaging operations, including the emerging requirements of the DQSA. Manufacturers, however, only need to assign serial numbers to items, since they are the first node in the supply chain for the packaged product. Repackagers, on the other hand are at least second in the supply chain since they receive product to be repackaged. According to the regulations, therefore, they must not only assign serial numbers to the new packages they create, but also keep record of the supplier’s serial numbers as well. 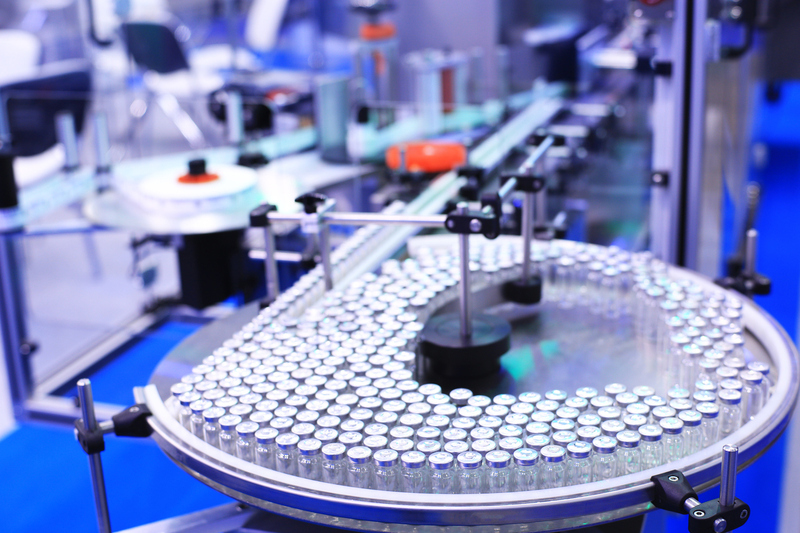 Enabling serialization capability for our customer’s operations required integration with existing packaging machinery. Using Systech cameras, vision tools and our patented Item Process Stream (IPS) technology, the project team designed a uniquely integrated process to accommodate the machines, while causing minimum disruption to operators. The configuration options within Systech UniSight permitted integration with all devices needed to execute serialization of repackaged units and cases with unit-case aggregation. Operators take packs of product from the manufacturer and open them in controlled conditions to expose the inner units. The inner units are inserted by hand and placed into a pouch, formed on-demand by the machine from rolls of film. Once the pouch is complete, a label is applied with required information about the product, such as product name, original manufacturer, storage requirements, lot, and expiration date. To meet the requirement to record source serial numbers, the solution includes the capability to scan suppliers’ serialized barcodes. Systech Unisight processes the scanned values to extract identity fields (GTIN and serial number), which are then associated with the new serialized units using our unique solution standards. The customer also took advantage of UniSight Product Master Data and Packaging Work Order Download features, using machine-to-machine communication to maintain and update product data and transfer packaging orders from the company’s enterprise resource planning system. This approach minimizes potential for human error using manually entered data and helps streamline production processes. An important consideration for the customer was to maintain operations as close as possible to pre-serialization conditions, including processes, safety, and production cadence. Working with our one of our hardware integration partners, Packaging Efficiency Solutions, Systech vision and computing hardware was integrated with the existing machine control systems to provide familiar and safe practices while adding serialization capabilities. Systech worked with the customer to adjust necessary elements, including label design, to accommodate the new requirements. Systech’s flexibility also facilitated communication of completed batch data (commissioned and aggregated serialized objects) to the repackager’s Level 4 system. Working with the L4 vendor, an XML message was configured to communicate the required data, including source serial number information. On the request of the customer, the system was configured in a way that the notification of this XML only occurred once the lot is released by Quality Assurance. With this solution, serialization operations have begun on two automated repackaging lines, with a dedicated manual packaging station as a backup. Systech products are designed for maximum flexibility to meet almost any packaging challenge, and those capabilities were successfully employed to allow the repackager not merely to meet the requirements of the regulations, but also to streamline operations before, during and after packaging.